Call 575-268-0350 to schedule your first appointment. If you’re living with hearing loss and you’re looking for hearing aids in Roswell, NM, look no further than Miracle-Ear®. We have a variety of hearing aids designed to fit into a range of lifestyles. Our location is independently owned and operated, and we employ caring professionals who will assist you in finding the right hearing aid solution for your unique situation. Our hearing aids come with industry-leading innovations, and that includes our GENIUS™ Technology. GENIUS™ Technology lets you change acoustic settings easily. We’ll even let you try the hearing aid for a 30-day, risk-free trial* before you commit to it. We’ve got more than 70 years of experience in the industry and more than 1300 locations nationwide, so we can offer you service you can trust. Our hearing aids provide our customers with an array of benefits, which include improving the abilities to recognize speech and to hear music more clearly. We want to meet your needs, so we offer a variety of services, including a free hearing test** and free hearing aid repairs and fittings. Whether you’re looking for a hearing solution that reduces feedback or you want to use your smartphone to manage your hearing aid, Miracle-Ear in Roswell has options for you. We invite you to call or stop by our location to see why we’re America's most recognized brand of hearing aids. There is a special energy every day when I walk through the doors at Miracle-Ear. I ask myself, "Who am I going to meet today? Will our interaction result in helping someone who is struggling with the difficulties and frustrations that a hearing loss can create?" Hearing loss affects more than the person with a compromised hearing system, it affects every single person they come in contact with. Communication is strained, and both parties have to work at having a conversation. Helping people in Chaves County and the surrounding areas has become my mission in life. I always knew I wanted to be a caregiver. 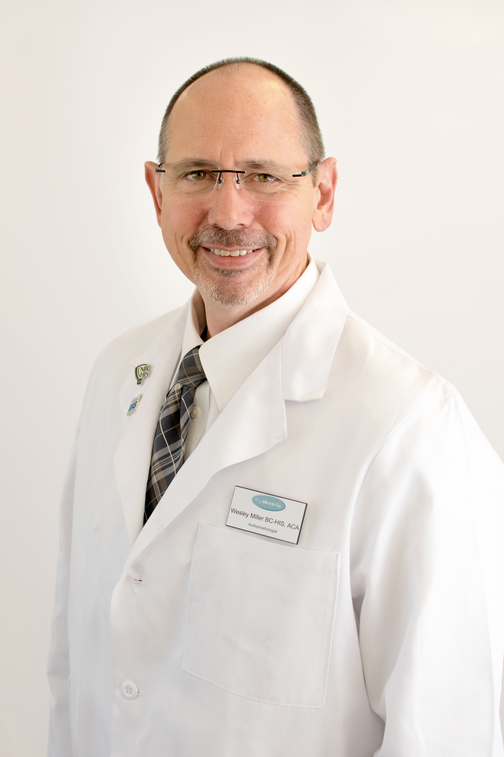 In the last 20 years, I have bridged a career helping people see better as an optician and helping others hear better as a hearing aid specialist. The common theme is relationships. While we are here on this God-given earth, making a living is necessary but making a life is mandatory. With a hearing loss, both of these is much harder to do. It could mean obtaining work or staying employed. A hearing loss can cause many negative feelings and emotions; anger, depression, stress, pessimism, tension, social withdrawal, and isolation. All of this leads to diminished overall health. I have seen a ripple effect of better communications between those with hearing loss and their loved ones, their friends, co-workers, and everyone else they come in contact with. Better communication ensures better relationships. This, in turn, means making lasting memories. At the end of our life, the relationships and memories are all that will really matter. These are the only things we will take with us at the end of our days. I care deeply and have much compassion for those who struggle. My goal is to help them hear a world of difference and experience a better quality of life. I often say, "Hearing people are happy people". It is not easy when using a prosthetic device in place of what we remember as natural hearing. On-going counseling and education of patients and their family members is one of the keys to success. Developing relationships with my patients, and understanding their hearing challenges is my highest professional priority. At Miracle-Ear I am fortunate to work with a group of caring professionals who feel the same way. We all share the same passion for helping others to achieve a better quality of life. To anyone searching for hearing help, I am looking forward to meeting you and welcome you to better hearing. 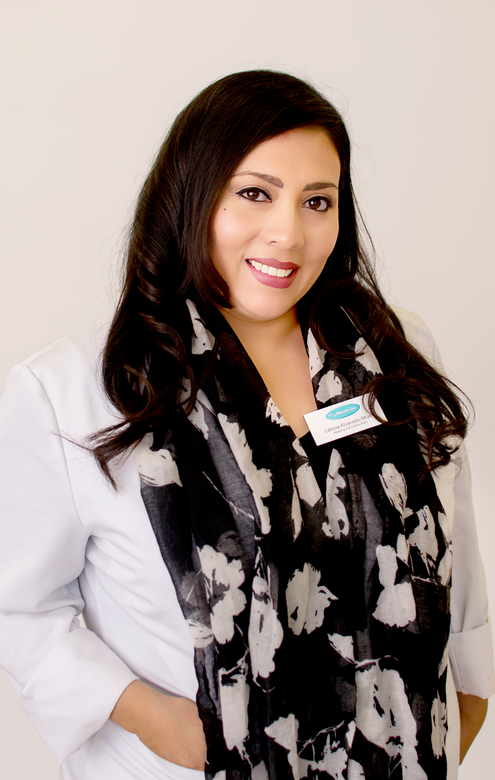 Nancy has worked at Miracle Ear as a Front Office Assistant for 3 years. Nancy is FOA Front Office Associate Miracle-Ear Certified and has received Service Awards for 3 consecutive years. Nancy's favorite part of working at Miracle-Ear "helping people. Helping people hear, but more importantly it is about the relationships I have established and cherish." My son saw a Miracle-Ear ad in the newspaper and suggested making an appointment. All the kids thought it would be a good idea. I did it for my family since my kids would struggle communicating with me. My concern was cost, but it is not a concern now because my kids and I are happy. Miracle-Ear made things 100% and I am now enjoying conversations with my kids, neighbors and others. I would encourage others to go to Miracle-Ear. I can hear better on the phone and conversations in group settings. My husband does not "nag" me about asking him to repeat himself when in casual conversation. I would recommend people consult with Leticia before making a choise of hearing aids. She willingly answers questions and helps after you make a purchase! Working in the public schools, it was getting harder and harder to understand the kids. You can only ask them to repeat so many times before they give up. I always felt so bad, especially if a student was upset to start with and his frustration compounded mine. Now, I can even hear whispers and help the kids when they need.